Looking for cheap flights with AirAsia X? With Utiket you can search for AirAsia X flights, find the lowest ticket prices and most convenient flight times. Best of all, here on Utiket you can directly compare AirAsia X fares with other hundres of other airlines. We do not add any commission or fees to a booking you make, making it the best place to find cheap flights for your journey. AirAsia X is the long-haul budget airline of the AirAsia group. AirAsia X flies to destinations which takes longer than 5 hours flight time from its main hub in Kuala Lumpur, mostly to airports in Australia, Japan and China. AirAsia X used to fly to London and India too, but this was cancelled early 2012 due to heavy losses on these routes. AirAsia X uses double-aisle Airbus jets and has a bit more comfort than on normal AirAsia airplanes with for example more legroom. Inflight entertainment (movies and games) is not included but can be booked online or in the aircraft itself. AirAsia X is owned partly by AirAsia, Aero Ventures, Virgin Group and several other investors. AirAsia X flies to over 33 destinations. Most AirAsia X flights are for destinations in China but AirAsia X has international flights to several other countries as well, like for example Australia and Japan. 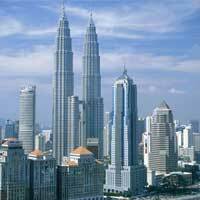 From its main base in Kuala Lumpur 99 flights depart every week. 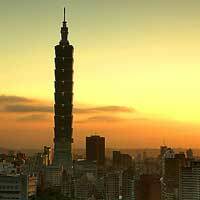 Many people who look for AirAsia X tickets look for flights to Taipei and Seoul. Utiket is a good place to start looking for AirAsia X flights as we can compare all flights by AirAsia X with hundreds of other airlines and dozens of booking websites. AirAsia X has a strict baggage policy in which checked baggage is not included in the ticket price and you are allowed to take 7kg in to the cabin for free (bag must not be bigger than 56cm x 36cm x 23cm). For any checked baggage you have to pay extra and the baggage cost can become a significant part of the final ticket price.